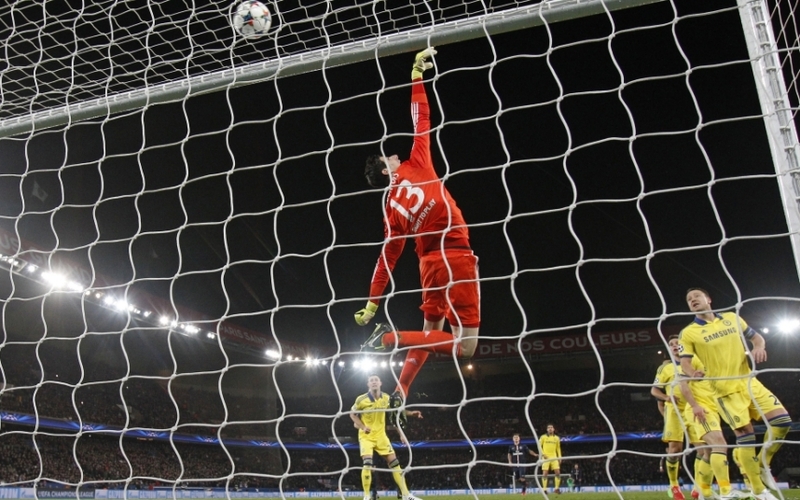 The Parisians, dominated the game and Chelsea relied on Thibault Courtois, to secure a good away result. Jose Mourinho’s approach to the game, was cautious and let PSG run the game, but maybe with more attacking options, the Blues could get a victory at the Parc des Princes. Thibauld Courtois : 8/10 Man of the Match. The Belgian custodian, ws excellent. He was decisive since the beginning denying Mathuidi’s (10th) and Ibrahimovic’s (11th) attempts plus Cavani’s header,(34th). He could do nothing about PSG’s goal; he was abandoned by his defenders. Branislav Ivanovic : 7/10 : The Serbian international, after a rocky debut, he had a good, solid game. Good in attack, he scored Chelsea’s goal(36th). He wasn’t as good in the second half and got a yellow(65th). Gary Cahill : 5/10 : He is the man with the decisive backheel wich led to Chelsea’s goal, but also the man who forgot to trail Cavani when he scored and it wasn’t the first time( Ibrahimovic, 60th). John Terry : 5,5/10 : Good and Bad, thy name is Terry; Good, when he staged his side’s goal, Bad in the air(Ibrahimovic, 11th) and also, he could have done better with Cavani’s equalizer. César Azpilicueta : 6/10 : He was in the same group who let Cavani pass and equalize, for PSG. The Spaniard played some good football, especially when he dealt with Lavezzi’s ball in absence of Courtois in front of the cage. Ramires : 4/10 : The Brazilian, wasn’t in the front line and didn’t help the team in crucial situations, as leaving Mathuidi alone to bring up PSG’s equalizer. Nemanja Matic : 6/10 : Very powerful player, the Serbian international helped the team very efficiently. He was good in recuperation but less in the second half. Willian : 4,5/10 : His teammates couldn’t give him lots of balls to deal as usual, so he tried to help the defense, but that’s not his cup of tea. Subbed by newcomer, Juan Cuadrado (79tn). Eden Hazard : 5/10: The former Lillois player, didn’t show the brilliant side of his trade, at the Parc des Princes; he wasn’t alone, the whole attacking force of his team hadn’t enough balls to play, in the Parisian half. A nice try (25th) ended in Sirigu’s gloves. Diego Costa : 3/10 : He was all alone up Chelsea’s front; he’s done nothing and didn’t show any skills with the ball. No creation, no help for anybody; got subbed by Loïc Rémy (81st).